Now I'm mastering Excel, what used to take me 4 hours now takes just 10 minutes. I've seen other people with extraordinary brilliant spreadsheets and always been slightly envious. How do they do it, I thought? 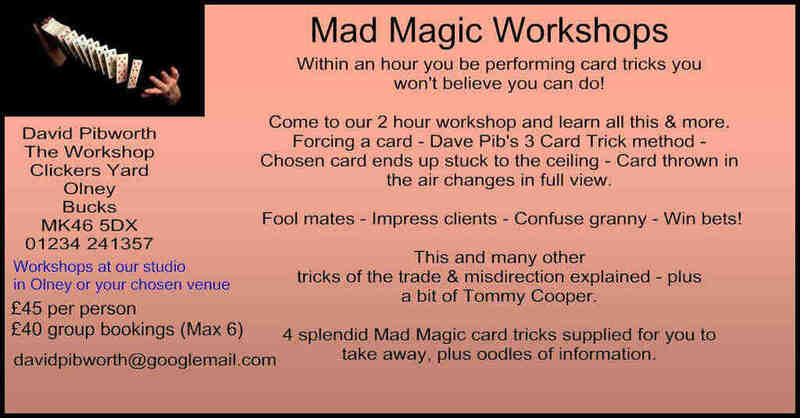 So finally I decided I should look into it as I have a new consignment of magic tricks coming in from the USA. "I sell them on eBay and through my magic workshops." Ok, everything is costing a bit more due to the exchange rate, but the company I deal with are efficient and straightforward. I order on a Monday, and the goods are with me by Thursday with full tracking, and I know exactly where the goods are, when they hit Stansted airport, when they are cleared by customs and when they're in transit on the way to my office. So if they can be so efficient, why not me? I need to put the full costings down with the current exchange rate and add all other related costs onto the goods. I need to keep precise stock control and to work out how much I can sell them for, so I also research how much other UK magic companies are selling specific items for and record it all. "Ok, I've done it before, but by golly it took time, and that's one commodity I'm always short of." So, I looked online and there were a number of companies selling courses on how to use Excel, split into manageable little modules. All with very nice websites, and all at a cost. Then I came upon one that was free. My initial thought was "How can this be?". But then again, free is free and suppose I paid to get Excel onto my computer, so I thought I'd have a go at it and, Praise the Lord and Pass the Ammunition, it's very good. I haven't learned a hundredth of what it can do yet, but I'm getting there and have realised it's not that difficult. It's terribly boring, but it's not difficult. So I'm trying to do an hour a day on Excel and my little spreadsheets are getting quite good. I'm learning formulas and all that which is a time saver. It may even transform my life. Not in the way a lottery win would, but in its own small way, Excel Exposure has helped me. The sheer boredom of learning to be efficient has helped me to become more lively in actually selling the stuff. That's the part I enjoy. Teaching someone how to make a silk disappear or to make a chosen card appear on the ceiling is way more interesting than tapping figures into a computer. When you meet me, I won't be going on about how I can teach you Excel and how good it is to know how much stock I have at any given time. I'll still be making things disappear or multiplying bottles like Tommy Cooper, and I can even teach you how to swallow a sword. It's just that the boring bit now only takes me about 10 minutes a day rather than about 4 hours every Monday.